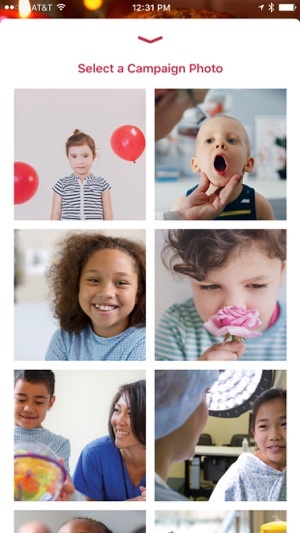 Every minute 62 kids enter a children’s hospital. 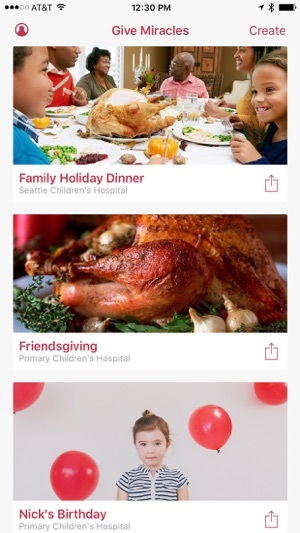 You can help kids in your hospital by raising funds with the Give Miracles app. In just seconds you can raise money with events like bake sales, charity dinners, car washes or just simple one-time donations — the possibilities are limited only by your imagination. 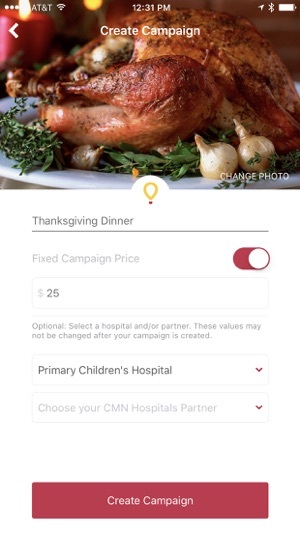 The Give Miracles app creates a personal link for your campaign, from which you send invites, messages, email, or social links to your co-workers, family and friends. You can engage with others and collect donations, without ever having to handle cash or checks. 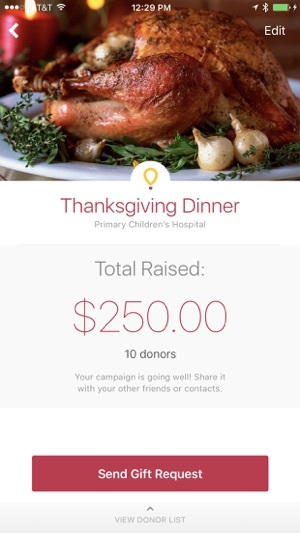 Give Miracles makes mobile fundraising easy and personal! Join us this Thanksgiving and make your family dinner more awkward. #askformoney and make Miracles happen. Visit GiveMiracles.org to learn more.